Personal finance and financial literacy are incredibly important topics that everyone waits to talk about until they're too scared to admit they don't understand it! 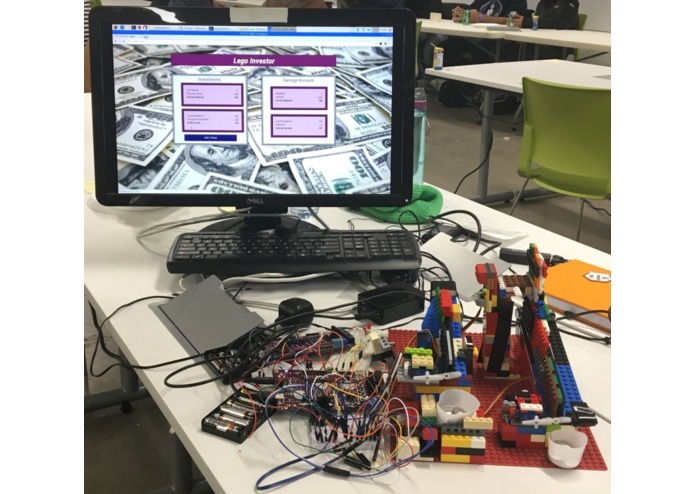 We decided that using lego and hardware to teach financial literacy concepts would encourage children to learn the importance of finances before they grow up. 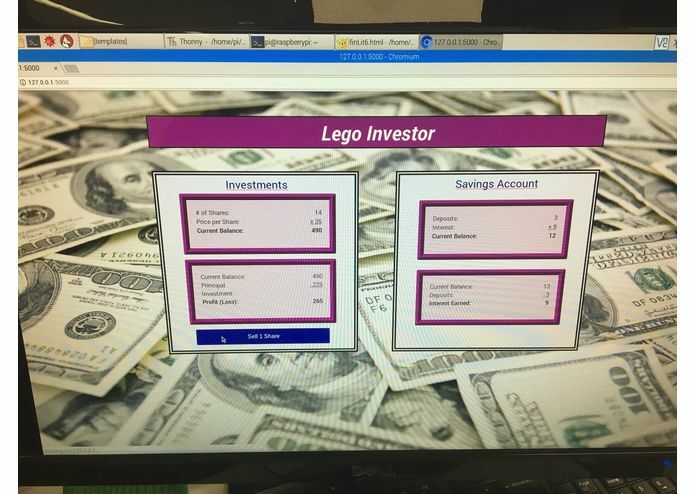 Lego Investor teaches the difference between market investing and savings accounts: while putting money in the market can come with bigger rewards, it can also take some nauseating dives. 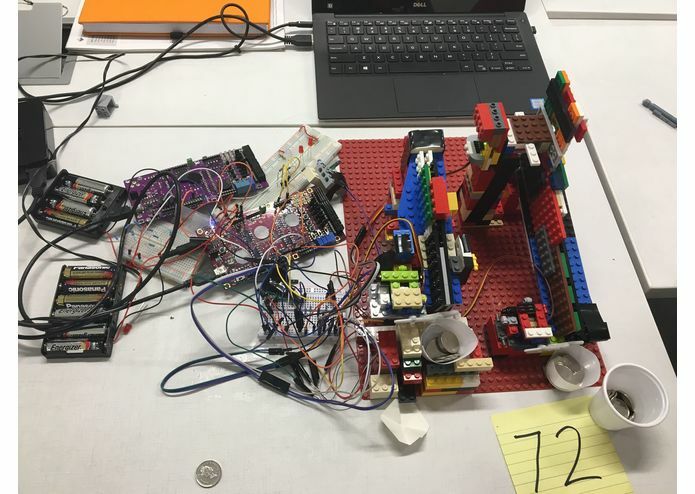 We built Lego investor using a Python flask server on a Raspberry Pi to interface with an Arduino to control various hardware components. To provide a better user experience, we created a front facing web GUI provides information on a simulated investment and savings account, including the current value of stocks, how much interest your savings account has earned and your original balances! Trying to debug hardware never seems to get any easier: we spent a good chunk of time trying to discover if the problems we ran into were due to logical errors in our code, miswiring in our electrical circuit or plain old power management problems. We worked with a couple tricky sensors too, and used all the lego we could find to build the best miniature bank we could. We took on a big project in a weekend, and everyone learned something new, which is always the goal at a hackathon. Building web servers is more difficult than we imagined! There is always something to be learned. I built the project with LEGO.. I can now say exacltly how the blocks need to be arranged to only allow one nickle to roll through at a time. I also wired the project and wrote the code for the Arduinos.